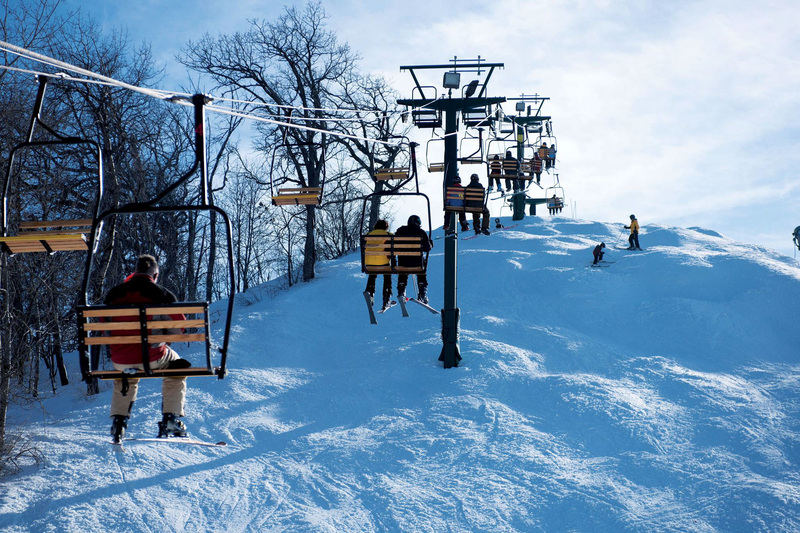 Yes, there is indeed skiing near Chicago. 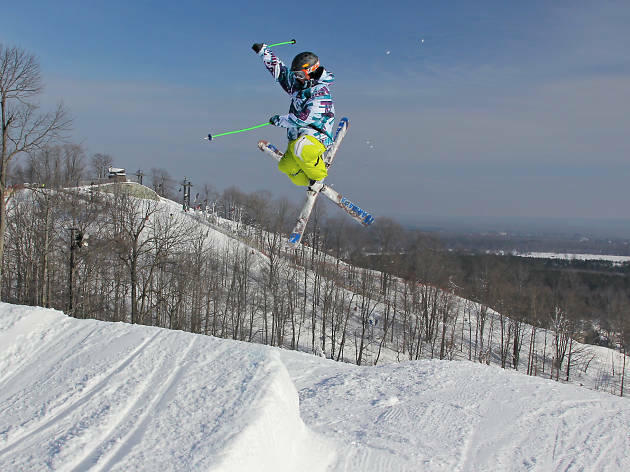 Not super near, but close enough. 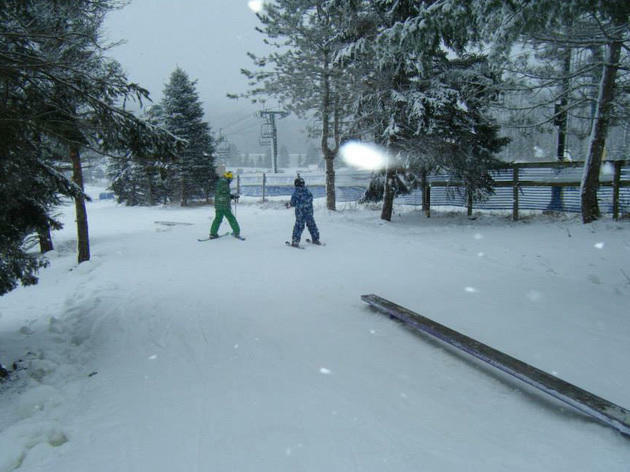 Many dates are contingent upon weather conditions. 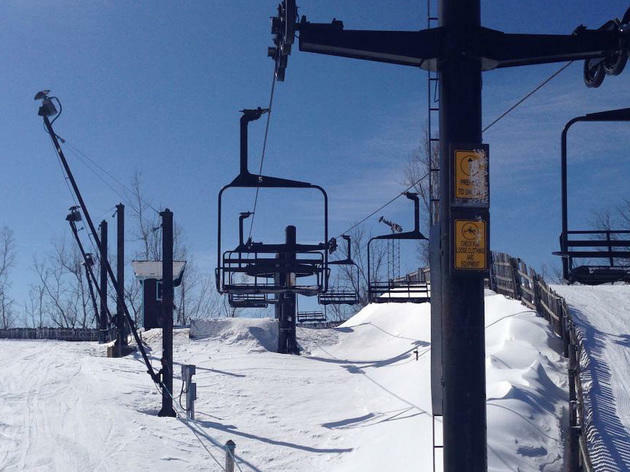 Always call ahead or check resort websites. 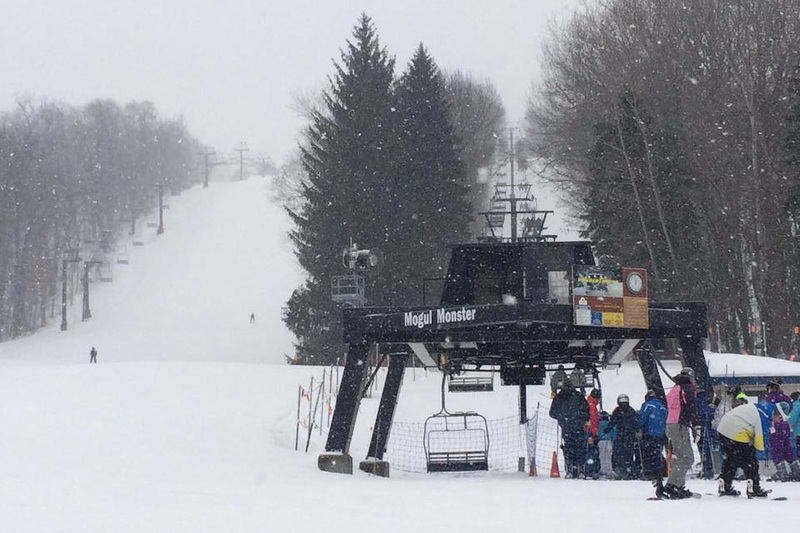 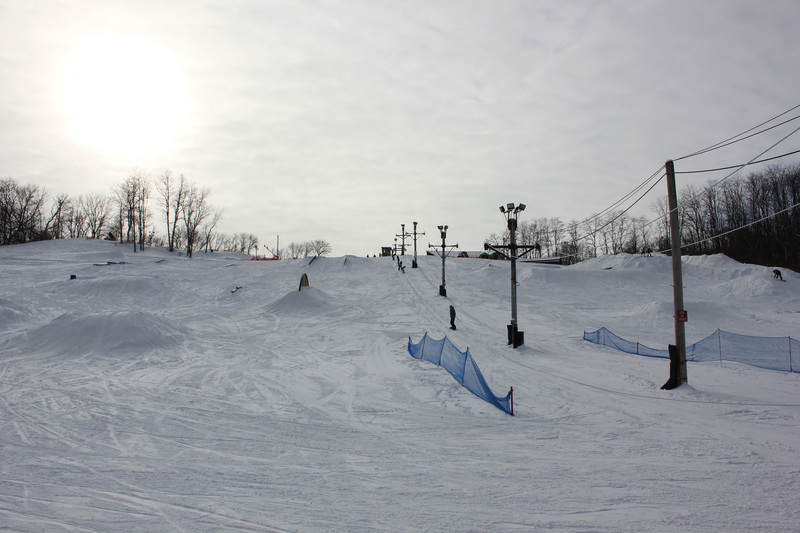 The gist: This local slope run by the Bartlett Park District features seven downhill runs, a quad chair lift and six rope tows. 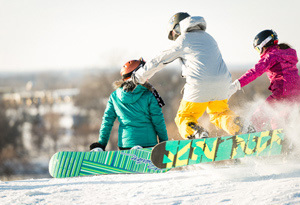 Ticket to ride: Weeknight tickets (5–9:30pm) $30; weekends and holidays $40; equipment rental $4–$39. 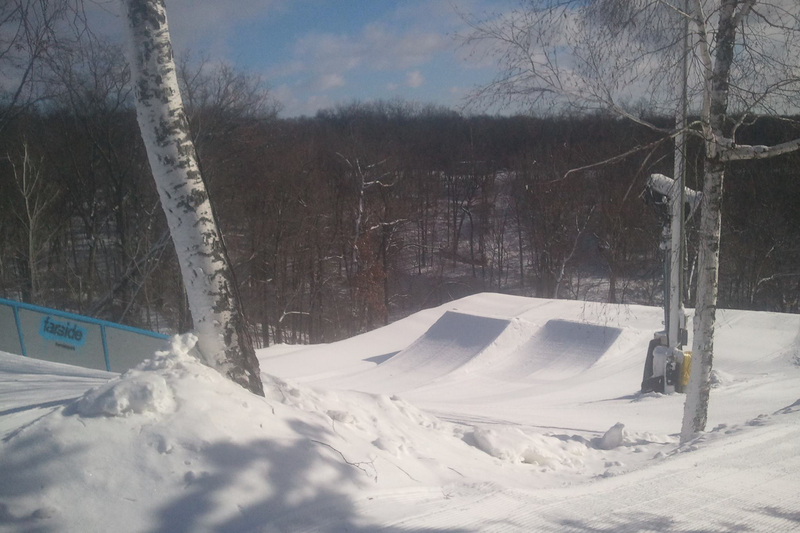 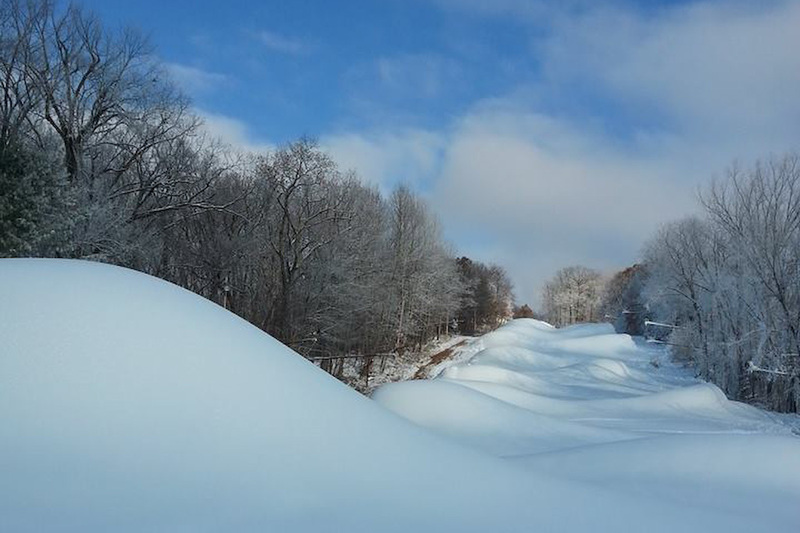 The gist: You don’t even have to leave the ’burbs to find a hill dedicated to snowboarding. 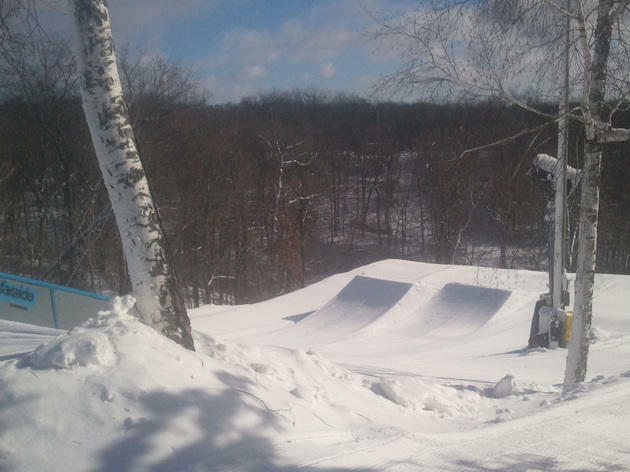 Raging Buffalo, near the Fox River in the northwest suburbs, offers half-pipes, kickers, table tops and other rad features, plus a “magic carpet” (a slanted moving sidewalk) on the beginner hill for the 12 and under Learn to Ride Experience. 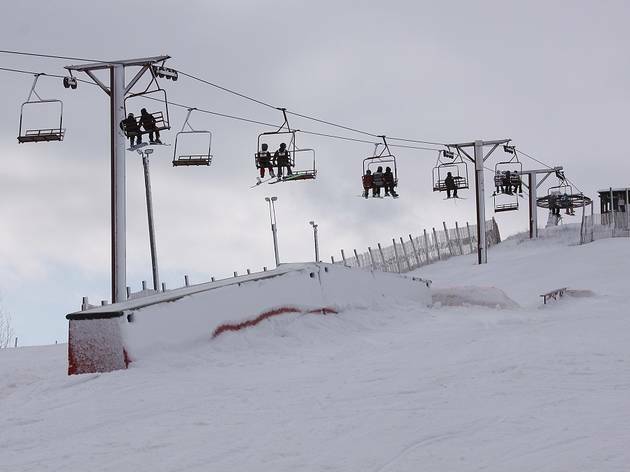 Ticket to Ride: See site for ticket and rental price updates. 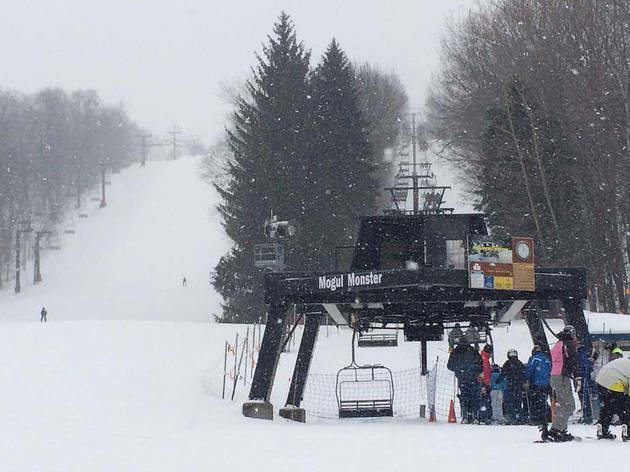 The gist: With an "anyone can do it" method, beginners can learn to navigate the slopes in no time. 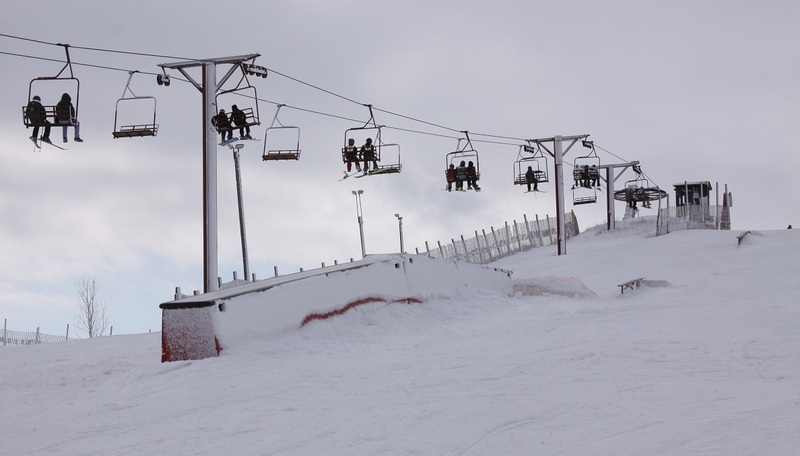 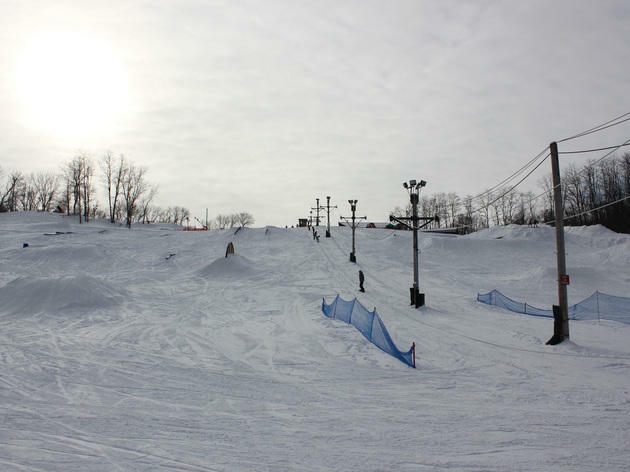 These hills in the western ’burbs consist of two bunny slopes, a terrain park and two intermediate inclines accessible by tow ropes. 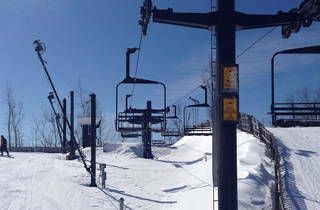 The gist: Boasting 20 runs and seven chairlifts, Bittersweet caters to intermediate shredders of all ages. 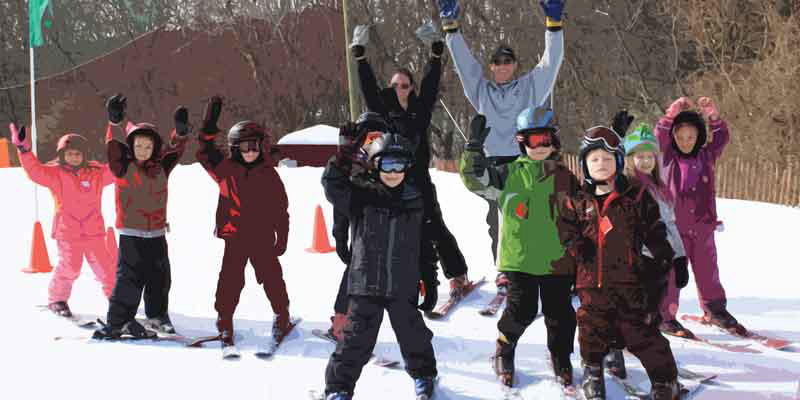 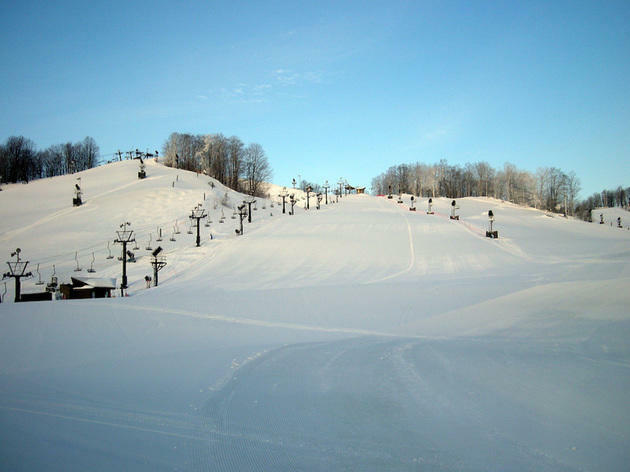 The resort offers a ski school and a Wonder Carpet lift on the beginner hill, which makes it easy for first-time skiers to get to the top of the slope. 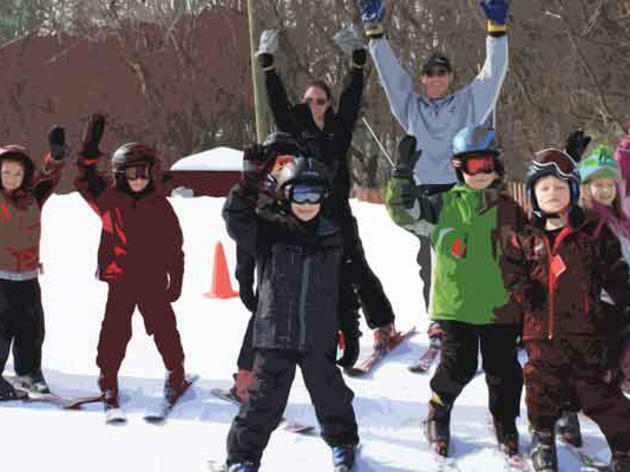 Ticket to ride: Weekday tickets $36; weekends and holidays $46; equipment rentals $27. 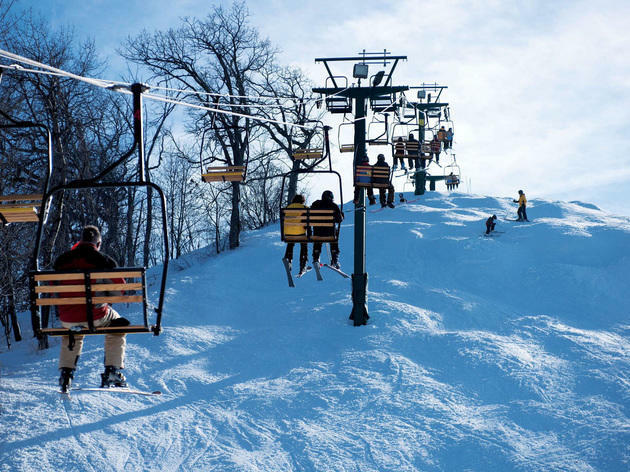 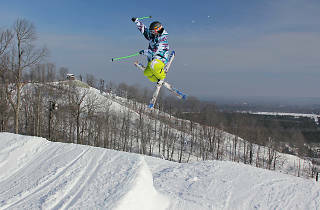 The gist: Said to have the best terrain in the Midwest, this destination has it all: 58 ski or snowboard slopes, eight lifts, four terrain parks, snow-sports school and daily NASTAR racing. 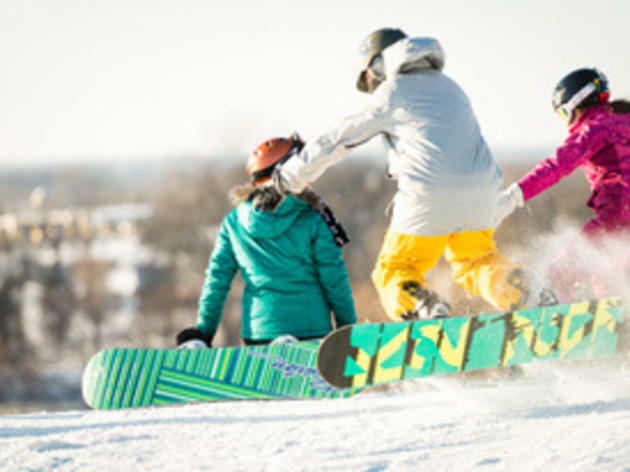 Accommodations include 250 luxury suites, hotel rooms, condos and resort homes, with amenities such as an outdoor 20-person hot tub, a fitness center and a spa. Season dates: Weather permitting through April 1. 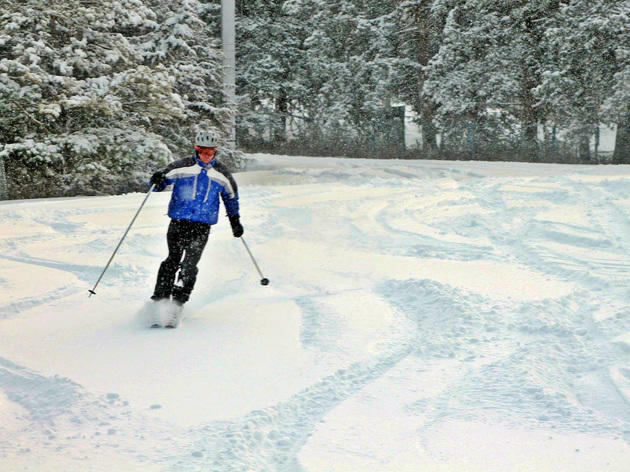 Ticket to ride: Open-to-close $49–$79; partial day passes $44–$74; after 5pm $25; equipment rentals $25–$45. 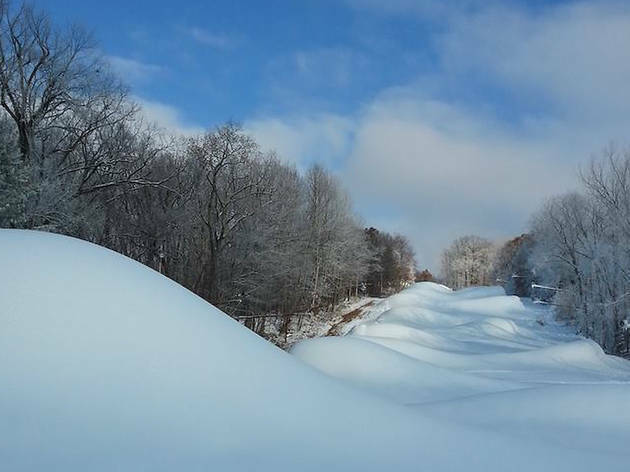 The gist: The only Midwest ski slope to receive the National Ski Areas Association Award of Excellence six years in a row, this beautiful mountain takes you down a century-old cedar forest reminiscent of Colorado or Wyoming. 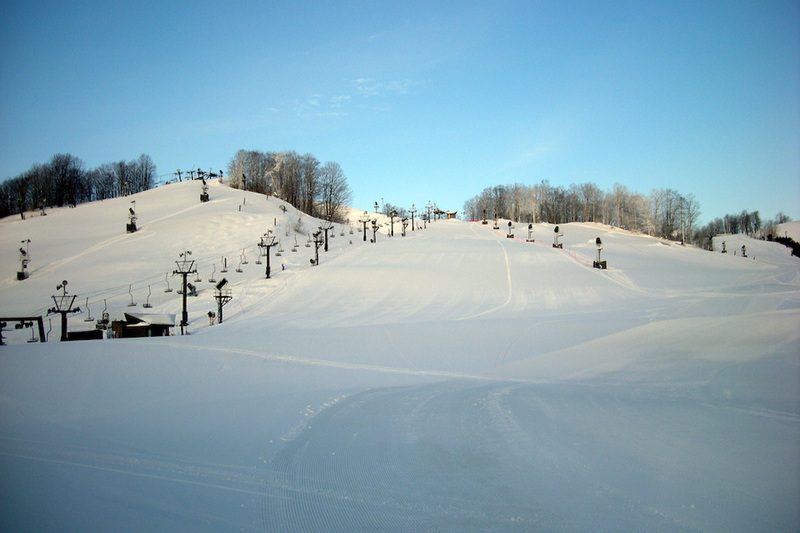 With 21 trails, two terrain parks and six lifts, this resort will have you up and down the hills in no time. 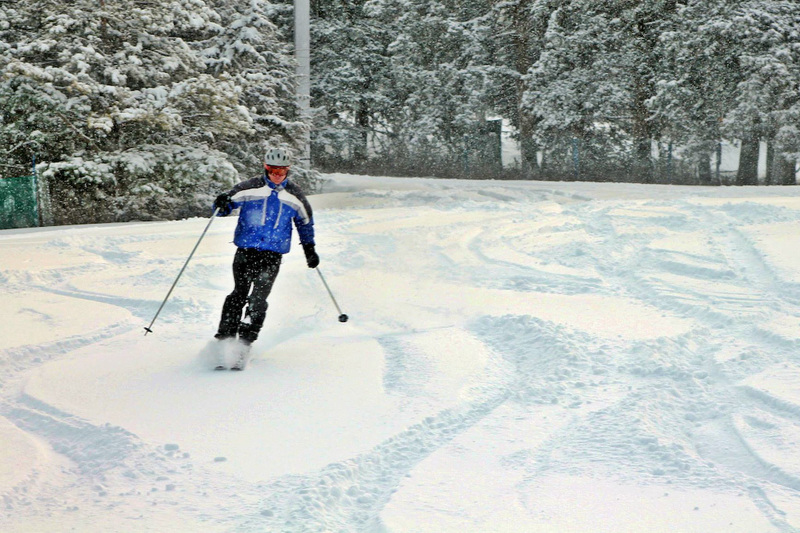 Ticket to ride: Weekday tickets $38; weekends and holidays $46; equipment rentals $27–$32. 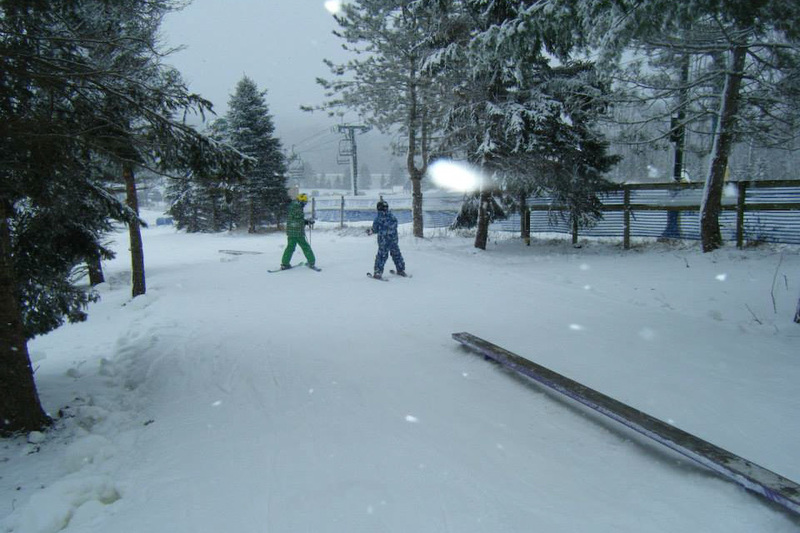 The gist: You could easily spend an entire weekend by the fire one of Justin Trails Resort’s cozy cabins. 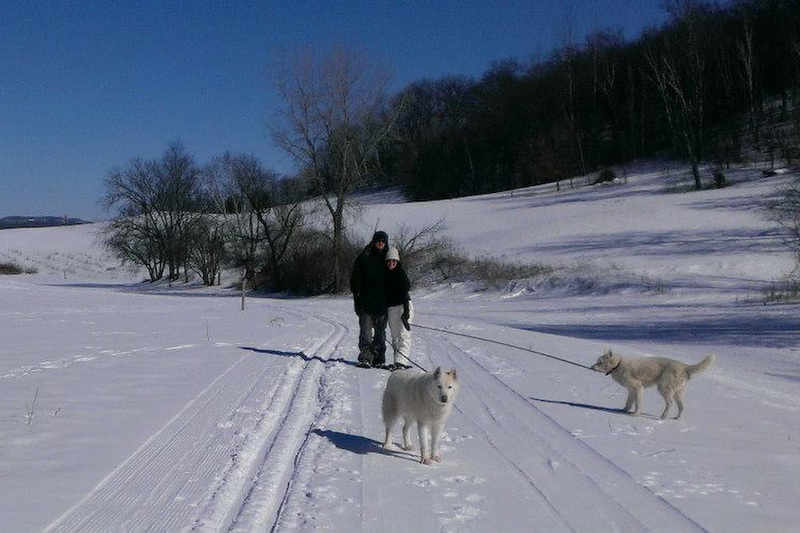 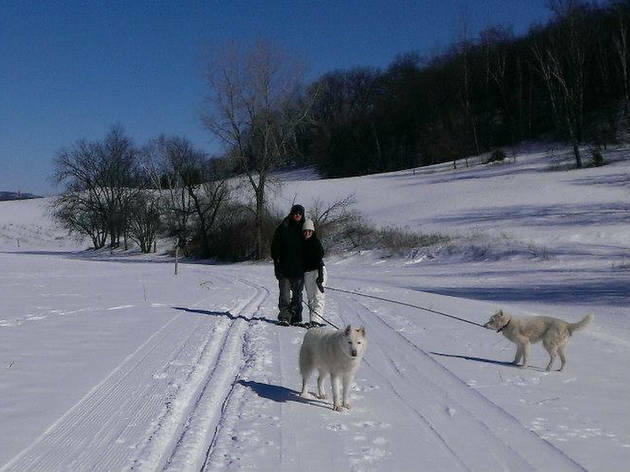 But if you’re determined to be active, try tackling a 1,000-foot-long hill on an inner tube, getting pulled on skis by dogs (it's called skijoring) and cross-country skiing through Wisconsin’s gorgeous wide-open spaces. 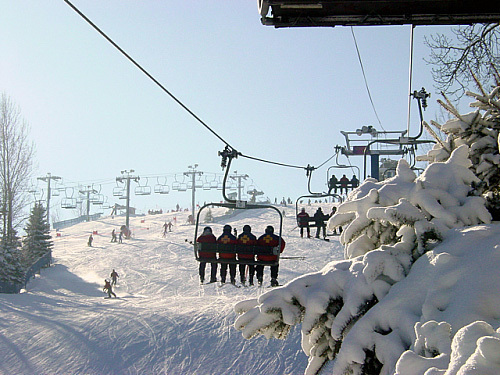 Ticket to ride: Cabin rentals $125–$425; check site for rental prices.